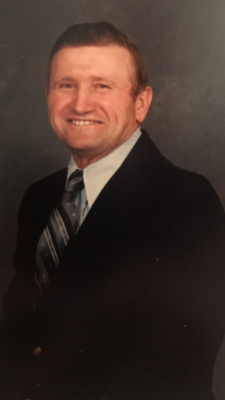 Marcel J. Laurin, 94 of Chazy passed away Sunday, July 15, 2018 at his home surrounded by his loving family and special friend, Becky Rushford. Marcel was born on the family farm in Chazy, December 22, 1923 to Anthime and Eva (Tetreault) Laurin. He was the third born of eight children. Marcel was a devout catholic and a member of St. Joseph's Church in Coopersville. He was a farmer most of his life. He worked at Chazy Central Rural School for 18 years as a custodian and bus driver. Marcel married Beulah C. Favro on October 19, 1946. They were blessed with four daughters. Marcel and Beulah were married for 64 wonderful years. Survivors include, four daughters, Sandra Gariepy of Chazy, Shirley Jackson of Chazy. Sharon Laurin of Rouses Point, Stacy Goodroe and her husband, John of Peru; 10 grandchildren; 13 great-grandchildren; three great-great grandchildren plus one on the way; two brothers, Walter (Rita) Laurin of Chazy, Richard (Betty) Laurin of Chazy; one sister in law, Angele Laurin of Chazy and several nices and nephews. Marcel was predeceased by his loving wife in 2010; his parents; two sisters, Anita and Theresa; three brothers, Armand, Francis and Paul. Calling hours will be from 4-7 p.m. Friday, July 20, 2018 at the Ross Funeral Home in Mooers. A Mass of Christian burial will be celebrated Saturday, July 21st at 11:00 a.m. at St. Joseph's Church in Coopersville. Interment will follow in St. Joseph's Cemetery. Memorial donations may be made to the Chazy Fire Dept. or Hospice of the North Country.